Waldorf has long recognized the value of immersing students in a multilingual experience. High school students complete a four year course of study in a language. Students may choose from French, Spanish, or German and have the option to study Mandarin Chinese as an elective. High school students also have the opportunity to participate in an exchange program to further hone their language skills. Being bilingual makes your brain more efficient and could stop you getting dementia. 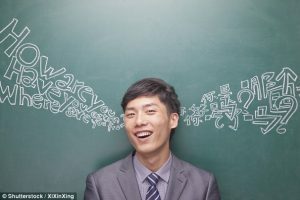 Researchers believe this could explain why bilinguals are better equipped at staving off the signs of cognitive ageing. It has been observed that bilingualism has a concrete impact on brain function and that this may have a positive impact on cognitive aging.